Palmerbet Sports Team have A-League tips for all four midweek games from Week 15, including a huge clash between in-form duo Wellington Phoenix and Sydney FC. Final Thoughts: Melbourne City partially made amends from their shock midweek loss to struggling Central Coast, playing out a scoreless draw with league leaders Perth on Saturday. They remain in fourth, having picked up four wins and two draws in from their last seven. Western Sydney’s plight is worsening by the week. They have slipped 13 points outside the top six after notching a solitary draw from their last seven games. Wanderers went down 2-1 at home to Adelaide on Friday night. Melbourne City have won the last two matches between the clubs, including a 2-0 away victory on New Year’s Day. City are also unbeaten in the last four at home against WSW. City have Mark Birighitti, Osama Malik and Dario Vidosic back from injury. Jordan O’Doherty (injury) and Keanus Baccus (suspension) are available for Wanderers. City have lost just once at home this season and they look solid value to grind out a win over battling WSW. Final Thoughts: Wellington have extended their record unbeaten run to an amazing nine matches, stamping themselves as a possible A-League title smoky. A 3-all draw with the Victory in Melbourne is a result the fifth-placed Phoenix would surely have taken beforehand, but they will be ruing letting a 3-1 lead slip. Meanwhile, Roy Krishna scored his third straight brace in the thriller. Third-placed Sydney FC look like they are slipping into gear, winning six of their last seven matches. Since their 3-1 loss in Perth two weeks ago, they have accounted for Adelaide (2-1) and Newcastle (1-0) – though they needed a Jets own-goal to win the latter. The Phoenix’s surge gathered steam with a 3-1 boilover against the Sky Blues in Sydney in Week 7 the result snapped a six-match winless run in the rivalry. But Sydney are undefeated in their last six visits to New Zealand, winning four of those encounters. Wellington’s defence still needs tightening up but they are one of the A-League’s most potent attacking forces at present – an area where Sydney have stalled in recent outings. The Phoenix have won their last three at Westpac Stadium and it’s easy to see why they are so cautiously priced against a heavyweight visitor. Final Thoughts: The slumping Newcastle Jets host a Central Coast side that is slowly picking themselves up off the A-League canvas. The seventh-placed Jets’ 1-0 loss to Sydney on Saturday left them with just one point from their last five matches. On the bright side, all of the four losses were by a one-goal margin. The Mariners, though, busted out of their 10-game losing streak to roll Melbourne City last Wednesday and followed that up with a draw against Brisbane. The Jets have won their last four straight against the Mariners by a combined 17-4. But they had to overcome a halftime deficit to snare a 2-1 win in Gosford just before Christmas. The Mariners have won just one of their last 12 against the Jets and are winless in their last seven visits to Newcastle – though six of those finished in a draw. With Central Coast tightening things up defensively at last and taking renewed confidence into this trip up the highway, they shape as a good option with a head-start against the out-of-sorts Jets. 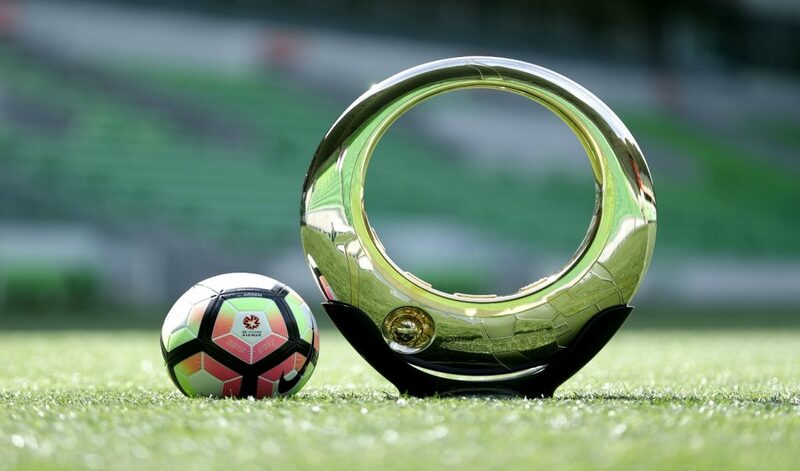 Final Thoughts: Perth Glory are aiming to restore a six-point lead at the top of the A-League ladder, while Adelaide United can further cement their top-six standing. After winning their previous four games – and scoring 15 goals in the process – the Glory drew 0-0 away to Melbourne City on Saturday. Adelaide bounced back from a 2-1 loss to Sydney, their only defeat in their past six games, by downing Wanderers 2-1 on the road. Perth have won four and drawn one of their last seven against Adelaide. But United have managed three wins and three draws in their last nine visits to Perth. The Glory posted a 2-0 in Adelaide in Week 4 after a scoreless first half. The Reds loom as a tricky opponent but the Glory hold enough value to take them straight up at home.